Otahpiaaki is the only fashion show which has a parallel program of academic research based on issues impacting Indigenous designers in their practice, communities, and as they go-to-market locally and around the world. A selection of work is outlined below. The team from Otahpiaaki is very honoured to welcome our colleagues from Ryerson University, Riley Kucheran and Dr. Ben Barry, the Chair of Fashion and co-editor of the journal Fashion Studies. Taryn Hamilton (Barren Lands Nation) is pursuing her Bachelor of Arts (Criminal Justice - Class of 2019). She has been an undergraduate research associate on the Otahpiaaki project for three years. Taryn’s current work recasts social innovation through a decolonized lens and discusses its impact on intellectual property (IP) law for Indigenous fashion designers, artists, and creative entrepreneurs. In Canada and around the world, one of the greatest risks to Indigenous designers is the appropriation of their designs. Those who are appropriating the culture often see objects, patterns, and ideas as artifacts of dominion, and Indigenous heritage as public domain. This early work in creating law reform discusses rigidity traps and structuration related to intellectual property law using Kiipaitapiiyssinnooni, Blackfoot ways of knowing. A new integrated system is proposed, inclusive of Niitsi’powahsinni: the Words that Carry the Breath of our Ancestors, First Nations governance, and Elder committees to protect traditional cultural expression through the recognition of inherent and exclusive rights and cultural sovereignty. Taryn has presented at the 2018 Global Conference on Indigenizing Entrepreneurship in Ottawa and at the tenth annual International Social Innovation Research Conference (ISIRC 2018) in Heidelberg, Germany. She was a proud participant at DetermiNATION 2018 and at Indigenous Fashion Week Toronto (2018). Spirit River Striped Wolf (Piikani Nation) is pursuing his Bachelor of Arts (Policy Studies - Class of 2020). He joined the undergraduate research team three years ago and is the co-founder of the Otahpiaaki project. Spirit’s program of research explores social enterprise, survival and shame. Countries that experience positive economic participation from new ethnic minority entrepreneurs often do so as a consequence of social capital available in one’s ethnic communities. Spirit contrast these types of conditions with perspectives from Indigenous communities in the post-colonial reconciliation era, examining the negative social impact of “survival values” that a community or nation faces when their personal and community economic situations are in peril. Canadian subjugation policies have prolonged economic marginalization and have created disruptions to participation in traditional and contemporary trade through survival-shame cycles. A new platform, Niitsi’powahsinni provides ways to restore alliances, relationships, and positive collaborations. This spring Spirit was one of nine youth leaders who gave testimony this June for the Youth Indigenize the Senate program. Spirit presented at the 2018 Global Conference on Indigenizing Entrepreneurship in Ottawa and at the tenth annual International Social Innovation Research Conference (ISIRC 2018) in Heidelberg, Germany and was a proud participant at Indigenous Fashion Week Toronto (2018). Spirit is a proud consultant and board member at Voices Calgary, a coalition of 2Spirit & racialized LGBT+. Braden Etzerza (Metlakatla Nation) is a Bachelor of Science (Environmental Science, Class of 2020) undergraduate research associate who joined Otahpiaaki two years ago. Focused on issues of food security, Braden leads the The Wa’naa Crops Projects: Sewing the Seeds of Prosperity, Food, and Water Security on 760+ Neighbour Nations. Experimental dye and textile crops are currently growing on the Metlakatla, Secwepemc, and Ktunaxa territories as well as an urban crop in Mohkínstsis. The crop plots are designed to introduce a commercial crop while increasing food and water security as part of Otahpiaaki’s ‘seed-to-runway’ social venture model. Food insecurity is an issue for far too many First Nations in Canada. Many Indigenous communities also experience high rates of unemployment due to a lack of sustainable job options. Prosperity crops include high nutrition food, increase water security, and include a commercial dye or textile fibre crop. Braden’s research explores what crops are best suited for the climate, utilizing traditional knowledge from local Elders, and integrating agrology and sustainable agriculture principles to help guide the project and choose the appropriate locations. Braden has presented at the 2018 Global Conference on Indigenizing Entrepreneurship in Ottawa. He was a proud participant at Indigenous Fashion Week Toronto (2018). In 2017, Etzerza earned a coveted spot and competed against a global group of his peers in the Oxford Global Challenge. He one of just two Canadians who placed among 10 participating teams. He has also earned numerous grants and awards for his research, most recently from the Institute of Environmental Sustainability. 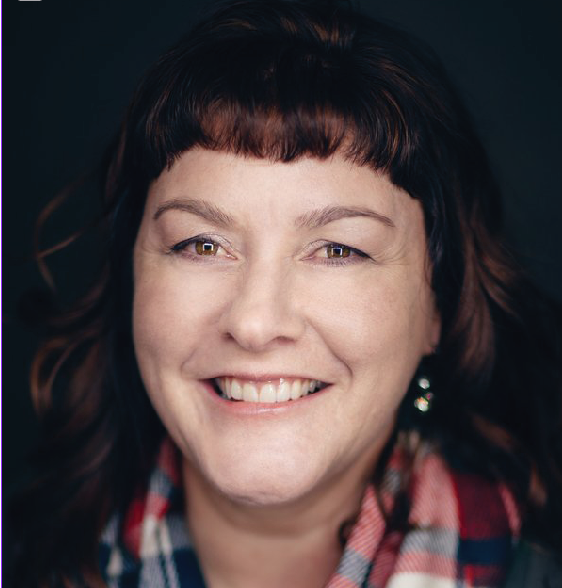 Patti Derbyshire is the co-founder of Otahpiaaki and an Associate Professor in Marketing, Entrepreneurship, and Social Innovation at Mount Royal University. Her program of research, framed by Sahpahtsimah (--collaborating in a good way), is focused on platforming and the appreciation and protection of Indigenous beauty, fashion, and design. Anchored by concepts of deep beauty, economic development, and highly individualistic creative practices, Derbyshire designs and facilitates multiple projects with her academic partner and friend Jeannie Pooksinawaakii Smith-Davis (Little Chief Woman). Patti is an intersectional thinker drawing upon human ecology, systems thinking, and Siksikaitsitapii worldviews. 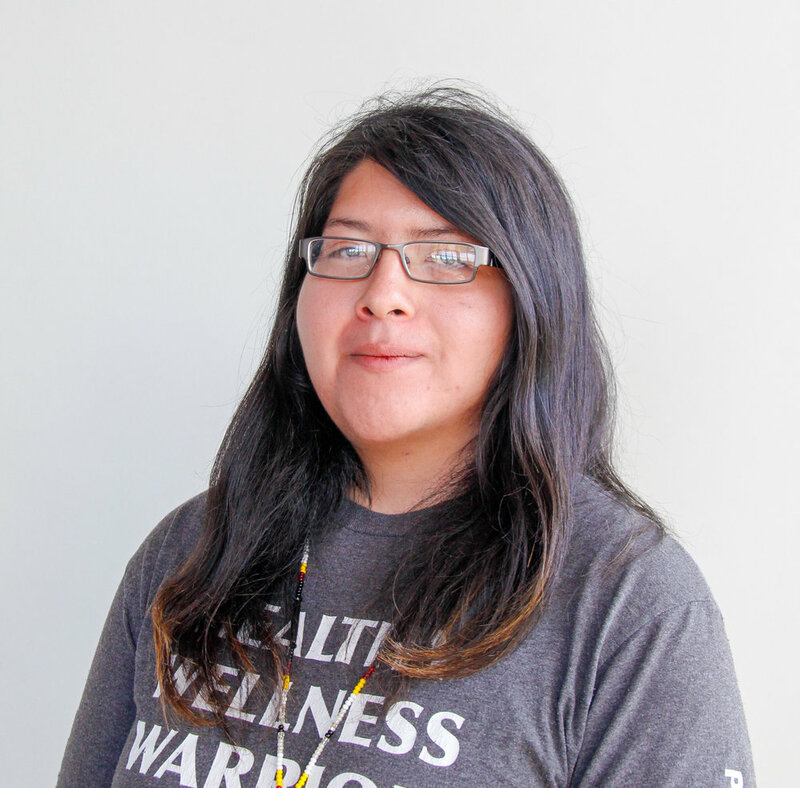 She is a student of the Blackfoot language and Poo’miikapii, collective harmony, balance and unity, at the University of Calgary. She is heavily influenced by and accountable to Marie Battiste’s vision of post-colonial education. She is a Visiting Scholar at the University of Alberta in the Department of Human Ecology (Clothing, Textiles and Material Culture). She is also a graduate student in Human Ecology at the University of British Columbia. Her research there examines Indigenous creative and cultural sovereignty as a member of the newly established Chinook Network at Blockchain@UBC. The project explores Blockchain as a solution to the documentation, protection and litigation of intellectual property, other elements of the cultural commons, and the custodianship transferred to and held by Indigenous designers, artists and communities. Riley Kucheran (Pic River Nation), is a PhD student in Communication and Culture at Ryerson & York University. His doctoral research examines the role of ‘clothing as weapon’ in Indian Residential Schools, how sewing now enables counter-narratives, and the supports needed for Indigenous designers engaging in cultural resurgence. Kucheran, who earned a BA in arts and contemporary studies in 2015, was hired by Ryerson’s School of Fashion, to help ‘Indigenize’ its curriculum. “That started my personal healing journey, which is a deeply spiritual process for many Indigenous Peoples,” he said. “While I talk about cultural appropriation, I also give examples of how we can work better together,” said Kucheran. Indigeneity has since become central to his research: “I was always looking at fashion, but what they call critical luxury fashion — high-end product that’s socially and environmentally sustainable. That shifted.” He began working with Cree/Métis fashion designer Angela DeMontigny, to explore how an Indigenous designer might reconcile being in fashion, where your commitment to your community often conflicts with your need to make profit. This work is now part of his PhD thesis. Riley will facilitate the Aksistoiyipaittapiiysinni Creative & Courageous Panel which explores how Indigenous creatives with intersectional identities find ways to pursue their goals in their communities.